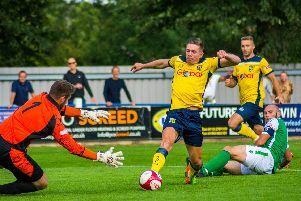 It's been a case of mixed fortunes for Tadcaster Albion during the early weeks of the 2018/19 campaign. 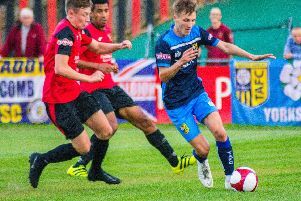 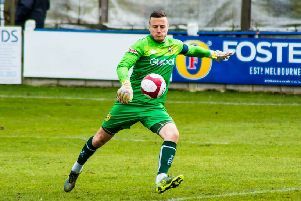 Tadcaster Albion bounced back from the disappointment of their opening-day defeat to Carlton Town with a thrilling Evo-Stik East victory over Sheffield FC on Tuesday evening. 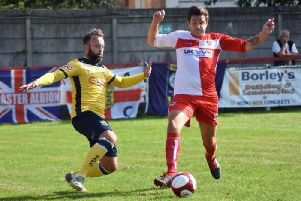 "Lazy", "laboured" and "just not good enough". 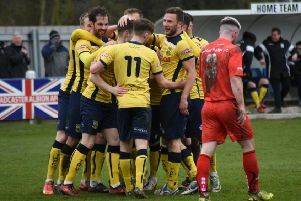 Tadcaster Albion grabbed themselves an Evo-Stik Division One North play-off spot on the final day of the 2017/18 season. 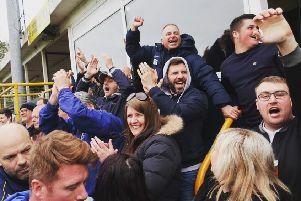 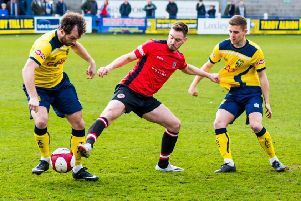 Tadcaster Albion are still in with a chance of promotion as the final day of the regular Evo-Stik Division One North season fast approaches. 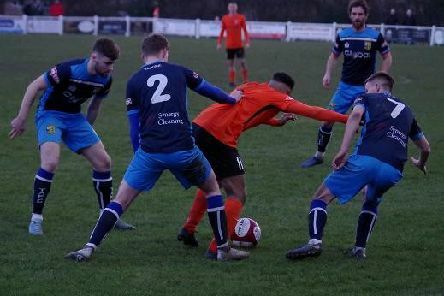 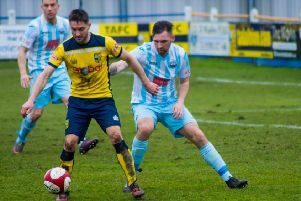 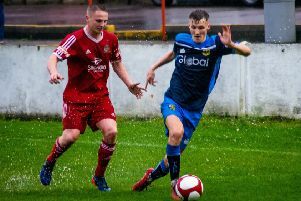 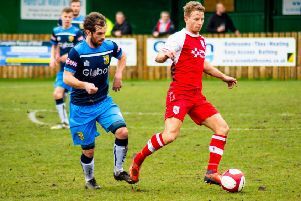 Tadcaster Albion’s Evo-Stik Division One North play-off hopes were dented as they played out a second goalless draw of the season against Atherton Collieries. 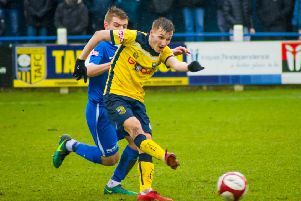 Tadcaster Albion played out a second goalless draw in as many days when they travelled to Evo-Stik North play-off rivals Colne. 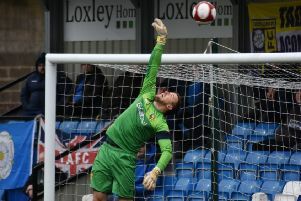 Tadcaster Albion played out a goalless draw with North Yorkshire rivals Scarborough Athletic at the i2i Stadium on Thursday evening. 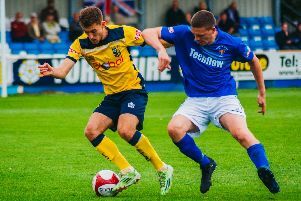 Despite a tremendous effort, Tadcaster Albion slipped to a single-goal defeat when they hosted Evo-Stik North leaders Hyde United. 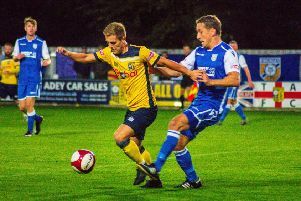 Tadcaster Albion remain unbeaten in eight matches following a goalless draw at home to Atherton Collieries. 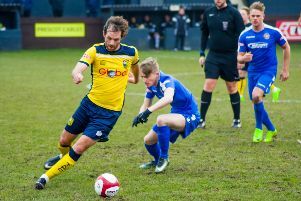 Tadcaster Albion recorded a fourth straight league victory, beating Droylsden 4-0 to climb into an Evo-Stik North play-off spot. 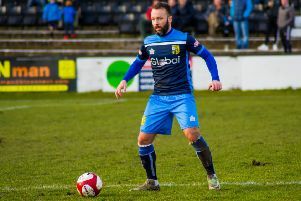 Casey Stewart was the star of the show once again for Tadcaster Albion, scoring two and setting up another in a fine 4-0 home victory over Glossop North End. 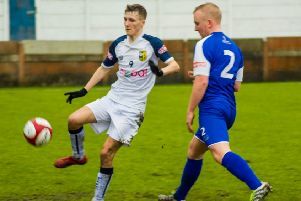 Casey Stewart’s second-half header was enough to ensure that Tadcaster Albion returned from Saturday’s Evo-Stik North trip to Clitheroe with all three points. 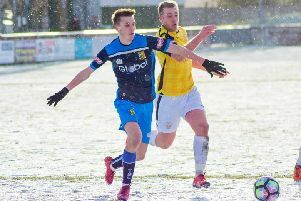 Goals from Pete Davidson, Andy Milne and Joe Pugh saw a depleted Tadcaster Albion defeat Skelmersdale United and return to winning ways.